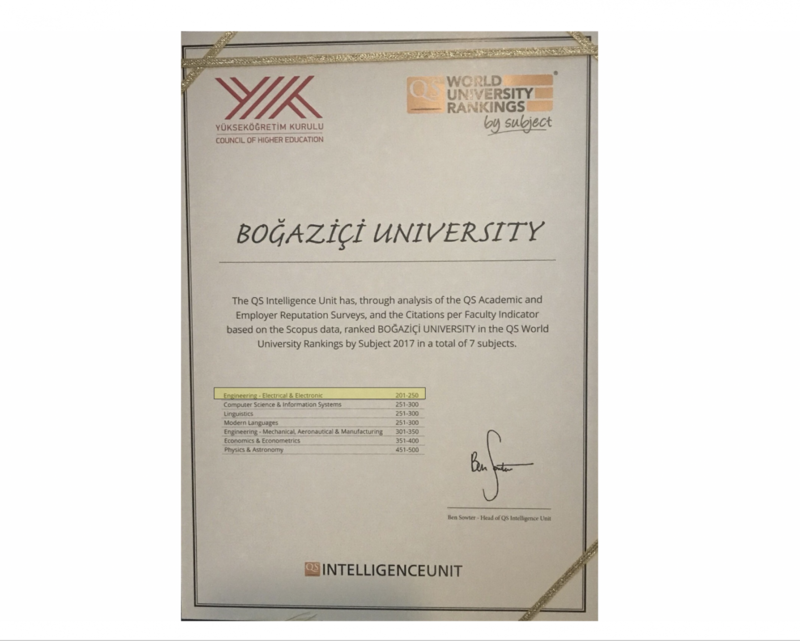 Electrical-Electronics Engineering Department Receives QS World University Rankings Award | Boğaziçi University Electrical & Electronics Engineering Dept. Boğaziçi University is listed among 10 universities from Turkey to be included in the top 400 of Quacquarelli Symonds’s (QS) worldwide university rankings. The university received an award from the Higher Education Council of Turkey for major success in seven research fields. Department of Electrical and Electronics Engineering is listed at the top of Boğaziçi University QS rankings.